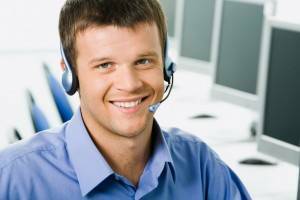 Technical support can be reached 24 hours a day, every day of the year, at 1-877-COACTIV (262-2848). CoActiv’s tech support staff is always available by phone* to answer questions and address issues. We will diagnose a problem and devise a solution either over the phone or by coordinating a site visit. If indicated, we will dial directly into your CoActiv PACS server or workstation to promptly aid in troubleshooting and problem solving. Our answering service will dispatch your message immediately and you can expect a call back within 30 minutes, or you can leave a message for a call back the next business day. *Be advised that emailing is not recommended, particularly in an emergency situation. -Always check your setup filters and inclusion dates. -Expand your search by typing just the first few letters of the last name in case of misspelling. -Check for spaces at the beginning and/or end of the last name (spaces are considered actual characters). -Check for a middle name/initial. -Perhaps there is (or is not) an apostrophe or hyphen. -A woman may have gone by her maiden name then changed to married name (or vice versa). -It’s possible that one of the cartridges is low on ink and needs replacing. -You must align cartridges each time an ink cartridge is replaced. -Turn off smoothing and text overlay options. You can turn off frame-skipping if looking at mechanics, but leave on if the actual speed of events is important. -You can access the EXAM-Viewer Keyboard Shortcuts (PDF – 634 KB) here. Our staff of experienced PACS and DICOM developers, IT experts, plus our extensive pool of accomplished programming, project and database professionals in every computer specialty, can provide your healthcare facility with the applications and support you need for your most challenging healthcare image and information management projects. CoActiv has a team of highly experienced experts in the field of radiology practice management and support. We are up to date with the latest innovations in the practice of diagnostic radiology, with a broad knowledge of current diagnostic modalities, PACS, RIS, and dictation systems, including the latest voice recognition products. We are specialists in the development and support of remote-access diagnostic reading environments that allow radiologists to read digital radiological studies from distant imaging centers, hospitals or even from the doctor’s home at night. We can have access to all your applications and we can remotely update, train, provide alert systems for complete systems health-monitoring and provide the capability of predictive failure analysis. Integrating PACS, RIS, dictation, scheduling and billing systems to minimize the expense and error resulting from the duplicated entry of demographic data in the separate systems is another skill set provided by CoActiv radiology IT experts. By mediating for you, with your various hardware and software systems vendors, we minimize the expense, frustration and loss of productivity that always result from system failures. We eliminate the incessant inter-vendor blame assessment that seem to be rampant among PACS, RIS, dictation, network providers, broadband suppliers, Internet providers, email providers and all the other elements that makeup today’s modern imaging centers and hospital imaging departments. CoActiv insulates your staff from the seemingly endless conflicts precipitated by this multi-vendor finger pointing. We cut through the jargon and the doubletalk that often create frustration and revenue loss. We become your IT department, or we work with your IT department, for you and with you to insure an efficient, effective and financially healthy imaging practice.